In January, Third Circuit Judge Kent Jordan presented on the topic of oral argument at a Third Circuit Bar Association CLE in Delaware, and one thing in particular that he said has been rolling around in my mind ever since. It’s commonplace to advise lawyers that oral argument isn’t an interrupted speech but rather a respectful conversation, and that’s good enough advice as far as it goes. But Judge Jordan emphasized that oral argument is something unique, a highly stylized form of communication like kabuki theater. 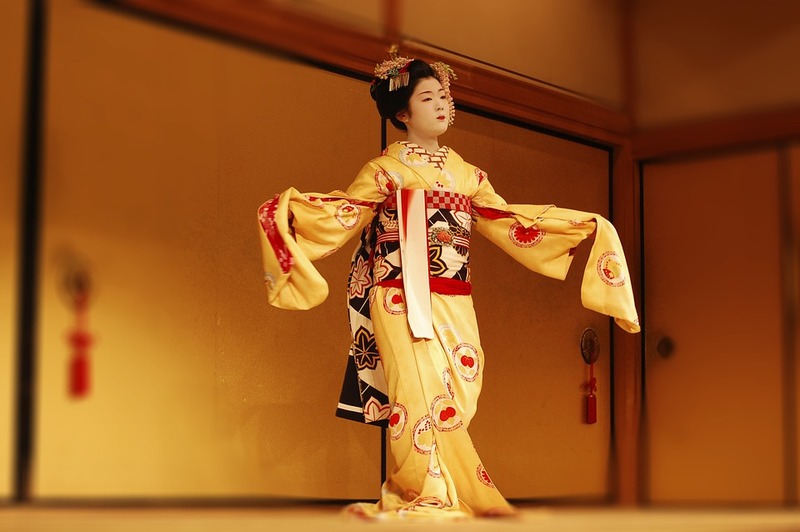 Kabuki is a Japanese dance-drama style that’s over four centuries old. If you’re not familiar with it, here’s a description and here’s a video. I see from internet searching that kabuki is sometimes used as a metaphor for political posturing where the outcome is pre-ordained, but I don’t think that’s what Judge Jordan meant. Instead, he used kabuki as an example of a performance art with conventions that are arcane and rigidly observed and that require years of disciplined training for performers to master. So understood, I think his kabuki metaphor for oral argument is illuminating in many ways. Let me suggest two, one concrete and one more abstract. First—and this is one of the points Judge Jordan was making—when a judge begins to speak, you stop. Even mid-syllable. Even mid-important, carefully prepared, ever-so-devastating-syllable. For many lawyers, that is not normal conversation. We talk over each other all the time: to finish out a thought, to jump in when the other person seems to be winding up, to signal enthusiasm. Hitting pause the instant a judge starts, and not talking again until the judge is done, doesn’t come naturally at all to many of us. It’s kabuki not conversation, and it takes commitment and discipline. I’ll add that this is especially true for men, and most especially for men arguing before judges who are women. One landmark study showed that, in conversations between men and women, men cut in 46 out of 48 times. Another study found that men are three times as likely to interrupt women as they are to interrupt other men. Sadly, these gender dynamics play out at oral argument, too. For example, while I was preparing for my last argument I listened to one Third Circuit argument that was so smart and elegant, spectacular in every way but one: he kept talking over the female judge on the panel. I don’t think that necessarily means that lawyer was a misogynist jerk, but it does show he needed to work on an argument skill. My second oral-argument-is-like-kabuki example is my own idea, so don’t blame this one on Judge Jordan. The right tone for appellate oral argument is a challenge to define. Be crisp and prepared but not wooden. Be reasonable but not wishy-washy. Be persuasive but not too emphatic. Four parts advocate, one part law professor, add just a dash of actor. It’s hard enough to define the right tone—summoning forth that tone under the knee-melting stress of argument is much harder, and maintaining it under fire is hardest of all. Most oral advocates, in my view, err on the side of over-certainty. We argue as if the law is all obvious, the facts on each point overwhelming. The problem isn’t just that adjectives and adverbs don’t persuade, or that appellate judges bristle at bombast. The deeper problem is that judges don’t want to hear how easy and obvious your case is. If they thought it was that simple, they probably wouldn’t have granted you argument. Our natural impulse is to assure the judges how overwhelming our side is, but most judges don’t want pat answers to hard questions. They want lawyers who know the facts and the law cold who are willing to help them grapple with the hardest parts of the case. You ain’t much help with the grappling if all you can do is deny that any hard parts exist. Again, it goes back to Judge Jordan’s kabuki point. Hitting the right tone for persuasive oral argument is like suppressing your impulse to talk over a judge. It’s not familiar or natural, and it’s not as easy as “respectful conversation.” Before you can begin to master it, first you have to decide to work at mastering it. This entry was posted in Oral argument and tagged Posts linked on How Appealing on May 25, 2018 by Matthew Stiegler.